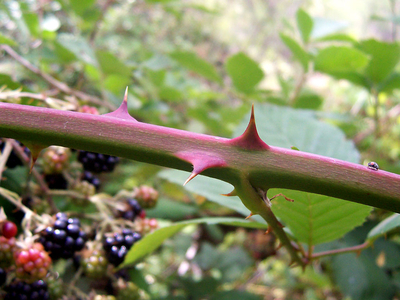 Image illustration via Wikimedia Commons. Since being named a co-conspirator in the Holy Land Foundation terrorism finance trial in 2007, the Council on American-Islamic Relations (CAIR) has tended to avoid direct expressions of support for terrorists. Executive Director Nihad Awad, who brazenly declared his "support of the Hamas movement" in 1994, talks mostly in euphemisms today as his organization seeks to recast itself as a defender of civil liberties. But Lamis Deek is one CAIR leader who doesn't like to clean up her language. A New York City-based lawyer and board member of CAIR's New York Chapter, Deek passionately endorsed an October 9 drive-by shooting in Jerusalem by Hamas-linked terrorist Musbah Abu Sbeih that killed two and injured six. In a series of tweets about the ensuing media coverage the next day, Deek wrote, "Covering Musbah Abu Sbeih's resistance as an 'attack' is not only political incorrect, it is factually inaccurate." She explained that Sbeih was being "violently hunted" by "invading colonizing Zionist forces" and merely responded in "self-defense." Reporting otherwise "perpetuates a false propaganda." On Facebook, Deek praised Abu Sbeih as a "martyr ... who, after a life under Zionist colonization and of torture in Zionist dungeons, refused to submit to the humiliation of being captured like an animal for their entertainment." This isn't the first time Deek has articulated odious positions. She is closely involved with Al-Awda, the Palestinian Right to Return Coalition, which advocates the end of the state of Israel by allowing all descendants of refugees from the 1948 war to "return home ... with full rights and sovereignty." In a 2012 Youtube video from an undated Al-Awda conference, Deek put her position bluntly and clearly: the "Zionist Israeli government does not have the right to exist." Clues to the intellectual roots of Deek's militancy can be found further in her online presence.Included amongst Deek's Facebook "likes" is Sayyid Qutb, the Egyptian Islamist writer who was a leading member of the Muslim Brotherhood in the 1950s and 1960s. Among his many books, Qutb published Our Struggle Against the Jews in 1950. 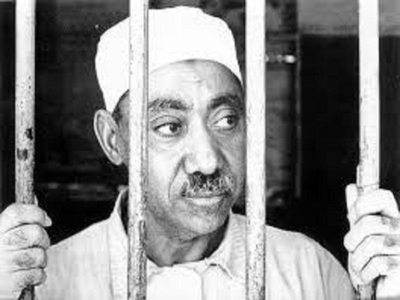 Qutb, a highly influential Islamist thinker, would be executed on August 29, 1966. But Deek holds in equally great contempt those on the Palestinian side who believe that compromise with Israelis is necessary to end the conflict. When "there is a serial killer in our home," she once explained in a lecture recorded by the Investigative Project on Terrorism, "you don't expect somebody to intervene on behalf of the serial killer ... and say 'the serial killer has some rights, let us tell you about the rights the serial killer has.'" In her view, "Nothing has set back the Palestinian movement in the U.S. more than demands ... that we tame our demands for Palestine." On November 9, after Donald Trump's election win, Deek retweeted what seemed to be an Anonymous-linked account that wrote this in response to Israeli Prime Minister Benjamin Netanyahu's congratulatory message: "When Nazis and Zionists have radical intersectionalism, you have this." She also tweeted: "Plan a coup. Free the land, free the youth." Of course, all of this stands in stark contrast to the organization's stated aspiration to be "a leading advocate for justice and mutual understanding." How can CAIR, an organization originally founded to promote the Palestinian cause in America, maintain its supposedly moderate, tempered pose when its leaders cannot resist the allure of expressing their innermost passions and hatreds on social media? Jon Bishop is a freelance writer based in Massachusetts and contributes to Islamist Watch, a program of the Middle East Forum.